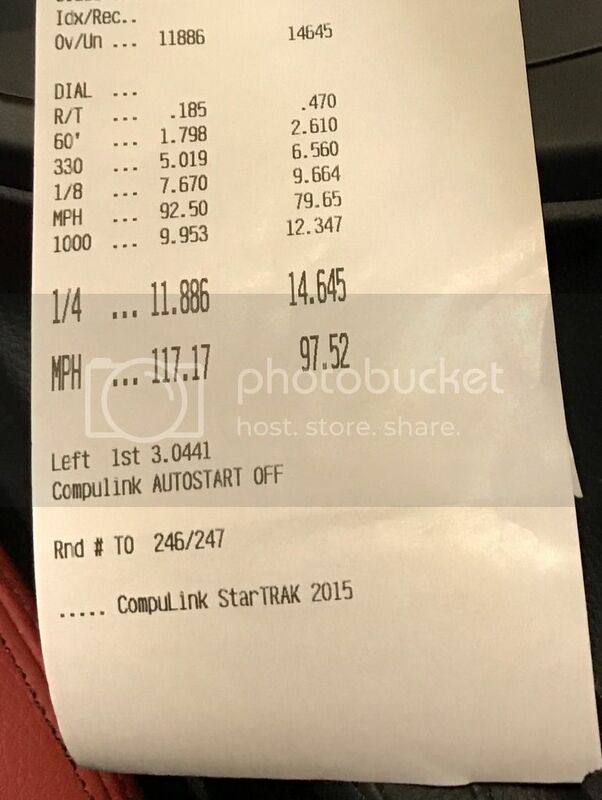 Took the 340i to the track and ran an 11.8 @ 117mph a few weeks ago with only $1,100 worth of upgrades. JB4, ER **, BMS intake and 100 octane. Trap speed was identical with 100 vs 93 octane which was odd. 93 octane ran .2 slower but not sure if the 100 octane made a difference or I just got a better launch. Awesome time!! What wheel setup were you running and how did you launch the car? Was the 12.0 on 93+e85 mix? His 60' was .5 better which is more like .7-.8 off his 1/4. Im willing to bet the 100 oct gave him more tq than hp. Also his driving could be better this time. Which map did you run? That's awesome man! Time to add some Methanol and EWG wires to up the boost. I'm not to sure, I'm just assuming since no methanol. I plan to do meth soon. Not even sure what an EWG is, can you explain? The drop in 60' basically got you the 11.8. Were you just flooring it out the hole? No I feed the throttle but with the 11.8 the dsc was off while the 12.0 I was in sport +. After the track I have been messing around with the settings and turning dsc off feels like it makes a difference. So you just left it in comfort and turned dsc off? Anyone else wants to jump in and explain what the EWG wire is and and where to get it? It is used by map5, 6 ,& 7 to control the boost. I thought all recent new jb4's came with it. Us lowly b58's don't have maps 5/6 yet. Just 7 for meth.